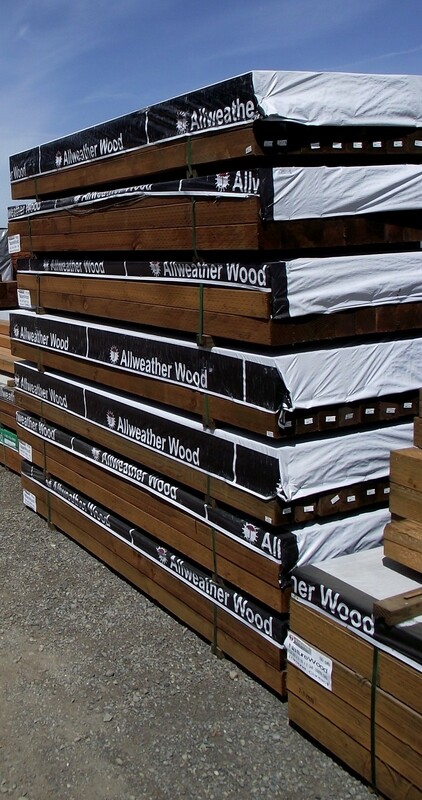 Because of our strong offering of fence and decking supplies we are able to provide you with all sizes and types of Pressure Treated Lumber. We carry on hand a large supply of 4×4, 2×4, 2×6,2×8, 2×10, 4×6 and 6×6 commonly used in fences and decks. Because we rapidly turn over that stock we are also capable of bringing you all sizes at very competitive prices. In the case of appearance grade Pressure Treated Lumber our will be bright and shiny, straight from the treater and not picked over by the last 30 customers before you. This is just one more way we successfully bring you value over our competition. Look under price lists for our current pressure treated offering. Hello, we can certainly help you. When you say a trailer load what amount are you talking about? I am interested in purchasing pressure treated lumber sir. Can you give me a price? What species or type are you looking for ? Hello , I own a small fence and deck business in london ont that has been rapidly expanding . My question is wether I can order lumber direct and if so what my savings would be if I was to buy it by the truck load . We use mostly brown pressure treated . I would be interested in mostly 6′ fence boards , 2×4 , 4×4 , 6×6 , deck boards etc . Hello Dave, While we appreciate your interest we focus on serving our local market first and do not have the systems in place to ship cross country or across borders.